Correlation analysis was conducted between the regional test yield and other agronomic characters in the dry land group of the northern winter wheat region of China in 2016-2017. The results showed that the regional test yield was significantly positively correlated with the maximum total stem number and effective spike number. There was no significant positive correlation with grain number per panicle, 1000-grain weight, growth period and plant height. The increase of effective panicle number and grain number per panicle was the main reason for the increase of upland wheat yield in the northern winter wheat region. 兰居生. 作物综合抗旱性评价方法的研究[J]. 西北农业学报, 1998, 7(3): 85-87. 冀天会, 张灿军, 杨子光. 全国旱地小麦区试10年回顾与问题分析[J]. 中国种业, 2013(4): 15-17. 田纪春, 邓志英, 牟林辉. 作物分子设计育种与超级小麦新品种选育[J]. 山东农业科学, 2006(5): 30-32. 孙艳丽, 李卓夫, 张嘉君. 小麦主要农艺性状协调关系的研究[J]. 黑龙江农业科学, 2002(2): 13-15. 刘朝辉, 李江伟, 乔江洲. 黄淮南片小麦产量构成因素的相关分析[J]. 作物杂志, 2013(5): 58-61. 王继滨. 黄淮冬麦区旱地区试小麦产量与产量三因素通径分析[J]. 中国农学通报, 2005, 21(7): 142-143. 赵倩, 姜鸿明, 孙美芝. 山东省区试小麦产量与产量构成因素的相关和通径分析[J]. 中国农学通报, 2011, 27(7): 42-45. 王丽芳, 王德轩, 上官周平. 大穗小麦品系产量与主要农艺性状的相关性及通径分析[J]. 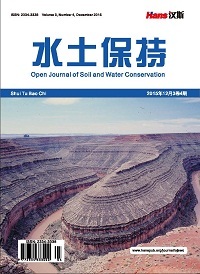 麦类作物学报, 2012, 32(3): 435-439. 任文斌, 谢三刚, 王倩. 山西南部水地小麦区试品系农艺性状比较及通径分析[J]. 农学学报, 2016, 6(2): 23-26. 张毅, 郭利磊. 2016~2017年度小麦国家区试品种报告[M]. 北京: 中国农业科学技术出版社, 2018. 王绍中, 田云峰, 郭天财. 河南小麦高产栽培技术[M]. 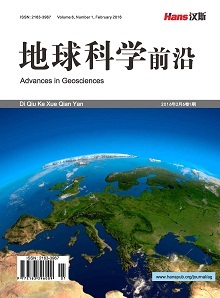 北京: 中国农业科学技术出版社, 2010.